April is the Month of the Military Child, a national recognition month celebrating the important role children play in the Armed Forces Community. 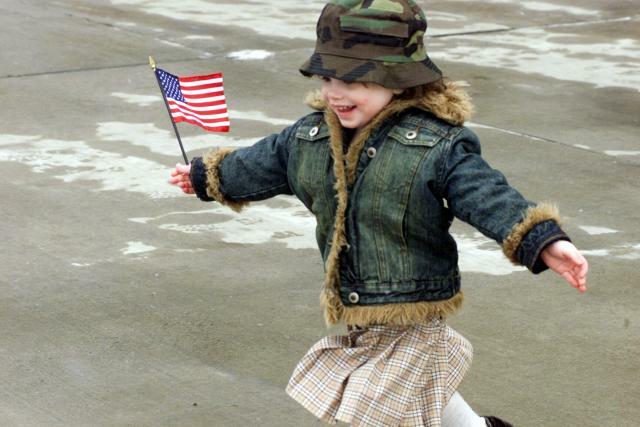 In honor of this special month, we’d like to focus on a challenge faced by nearly every Military child… Moving! Moving is never easy but the following tips from FOCUS can help! Make a deep breathing stick. This is a simple tool you can make at home to help kids master the relaxation tool of deep breathing. Take a popsicle stick (or similar object) and on one end glue a picture of a candle flame and on the other end glue a picture of a flower. You can personalize it by asking your kids to color the pictures before they glue them on. Once the glue has dried, show the child that they can breathe in through their nose, like they are sniffing a flower, and then they can breathe out through their mouth, like they are blowing out a candle. Work together on a move book. This is a fun craft project that can help keep your child busy while you are packing and make the transition easier. For instructions on creating a move book click here. Bring along a kid-friendly camera. It can be helpful for kids to have visual documentation of the journey they are making from one location to the next. Seeing where they started and the path they took to their destination is grounding and offers a sense of security. Pack a treasured item. A tangible reminder of your current home, such as a leaf from their favorite tree or a shell from the beach, encourages kids to remember happy moments from their previous house.